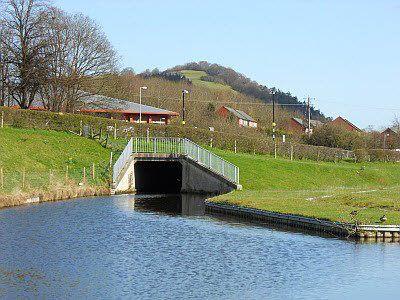 Welshpool to Belan Locks (Section 11 page 1). 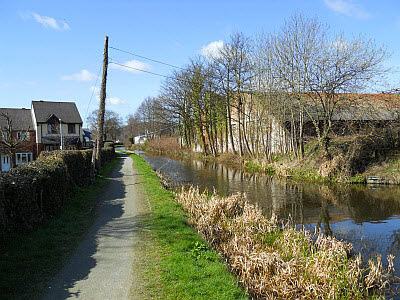 Navigable but not yet re-connected to the national canal network. 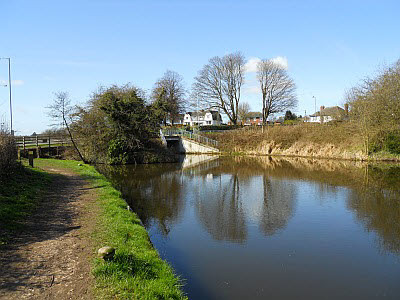 Gallowstree Bridge (117) at Welshpool. This is the new bridge of concrete construction that was built to replace the flatted bridge carrying the main Oswestry to Welshpool road. 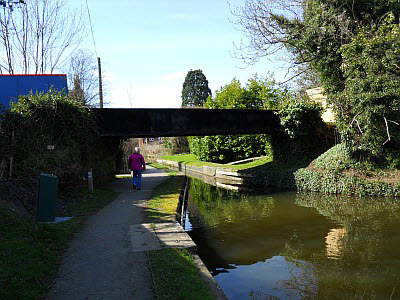 A peculiarity of it's construction is that it was built without a towpath as you can see from the photo. 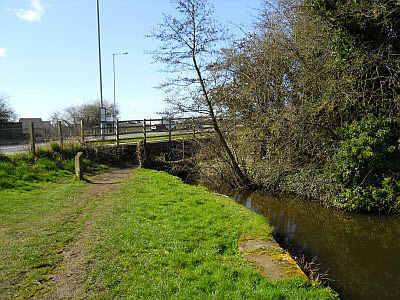 This is the site of the original bridge. From the top of Gallowstree Bridge looking West. On the Western side of the original Gallowstree Bridge crossing. 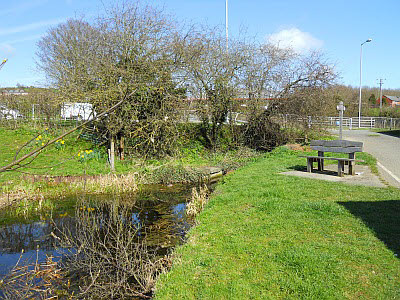 A short nature reserve is found together with a seat for you to enjoy the scenery. 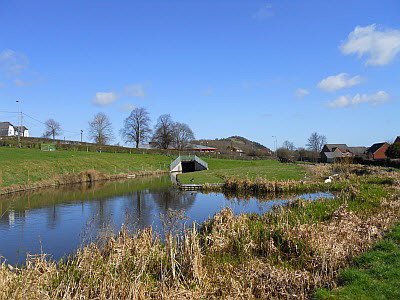 The nature reserve area is to the right of the picture together with nesting Swans. A closer look at Gallowstree Bridge Western Portal. Site of an old wharf area. Industrial buildings are still on the site. 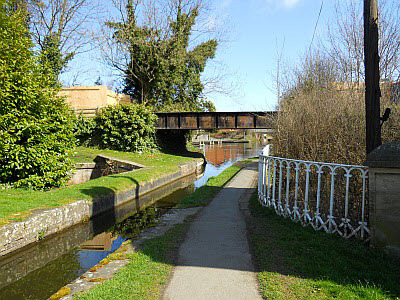 Clerks Bridge (118) on Mill Lane. 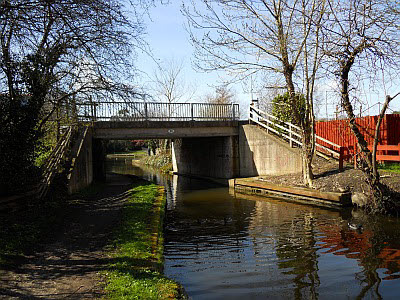 This bridge replaced the original Clerks Bridge and was constructed to carry heavy traffic from the main Oswestry / Welshpool road down to the cattle market prior to the construction of the Welshpool Bypass. 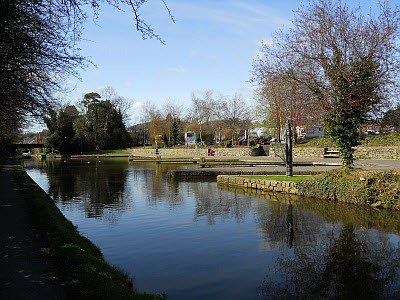 Adjacent to Clerks Bridge, is the new Welshpool Wharf for boats visiting the town. 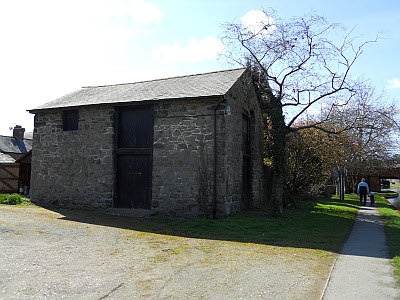 It was constructed adjacent to the main car park and cattle market. The original slipway was replaced by the new concrete ramp to the right of the photo. This used to carry the Llanfair to Welspool narrow gauge railway to the Livestock Market and the Cambrian Railways main line station. The very popular light railway now terminates at Raven Square at the top of the main street. 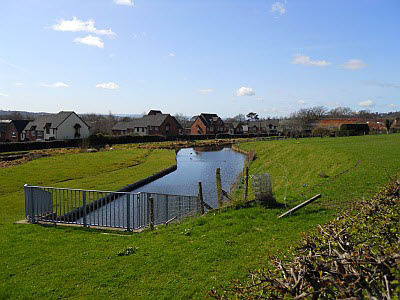 This view from the western side of bridge 118a shows the narrows that mark the aqueduct over the Lledan Brook. This building, owned by British Waterways, is an original canal warehouse. 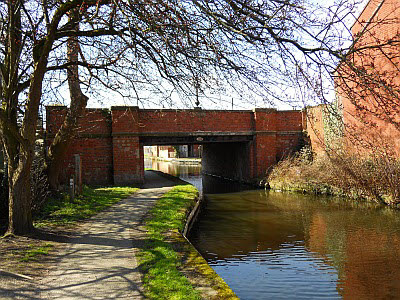 On the opposite bank of the canal, now covered by shrubs and trees, was an original stone wharf. Severn Street Bridge. Bridge 119. Re-built in 1900 at a cost of £1,304.7s.6d. 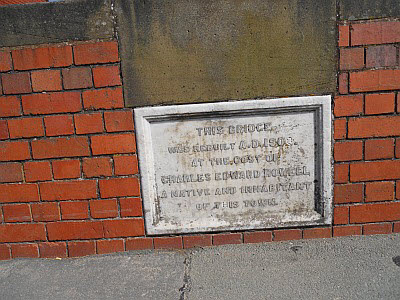 Built into the wall of the bridge is this plaque to commemorate its rebuilding.